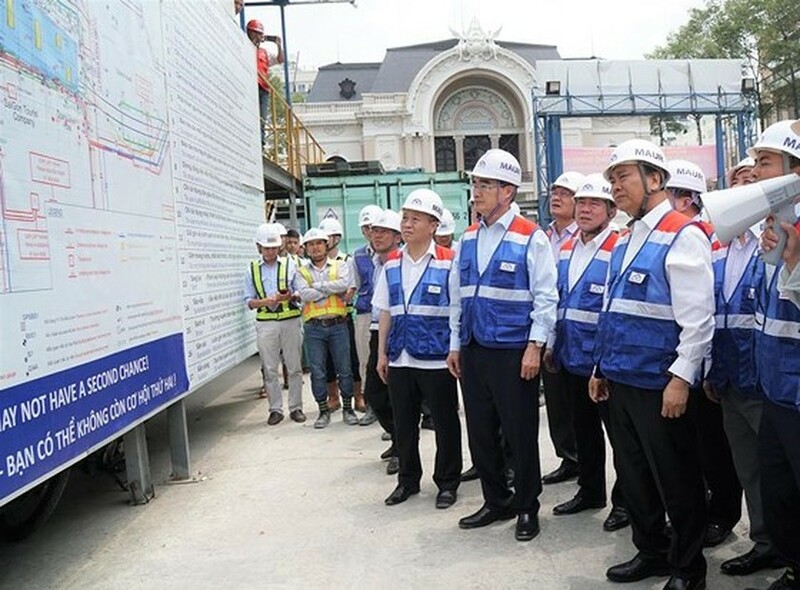 Prime Minister Nguyen Xuan Phuc on April 12 inspected the construction site of Ben Thanh-Suoi Tien metro project in HCMC, requiring relevant sides to speed up construction progress in order to put the project into trial operation in 2020 and official operation in 2021. 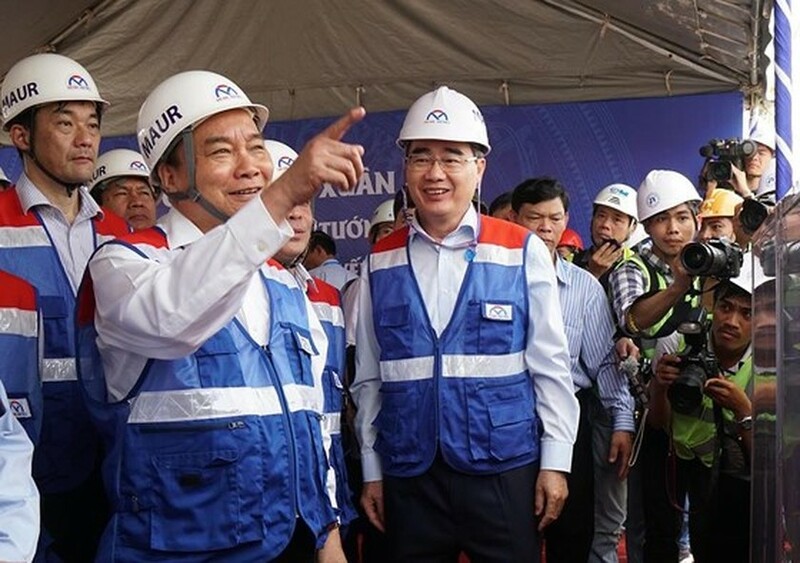 The PM said that the Government, ministries and central agencies have proposed competent agencies to give opinions about the adjustment of total estimate to ensure capital source for the project. 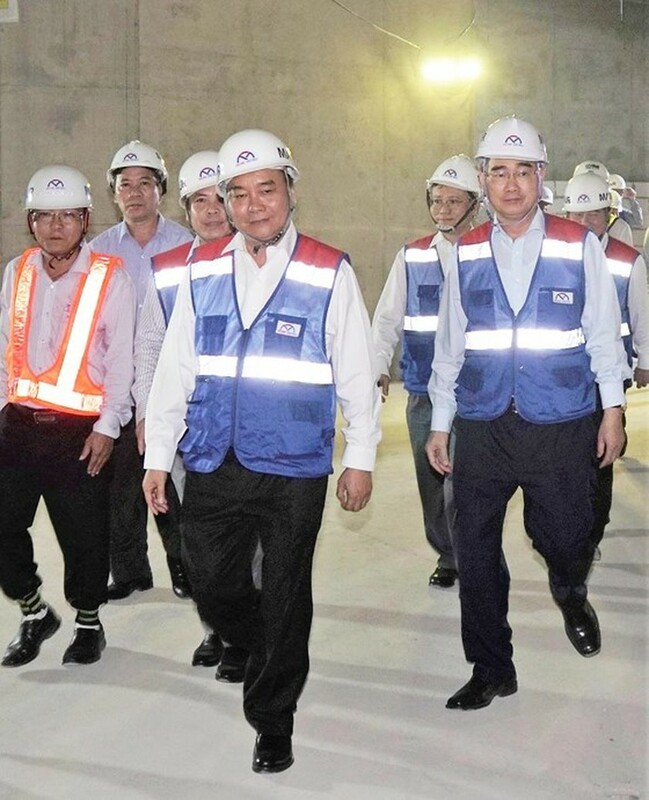 Ben Thanh-Suoi Tien is the first metro project in Vietnam manifesting the strategic partnership relationship between Vietnam and Japan, he said. 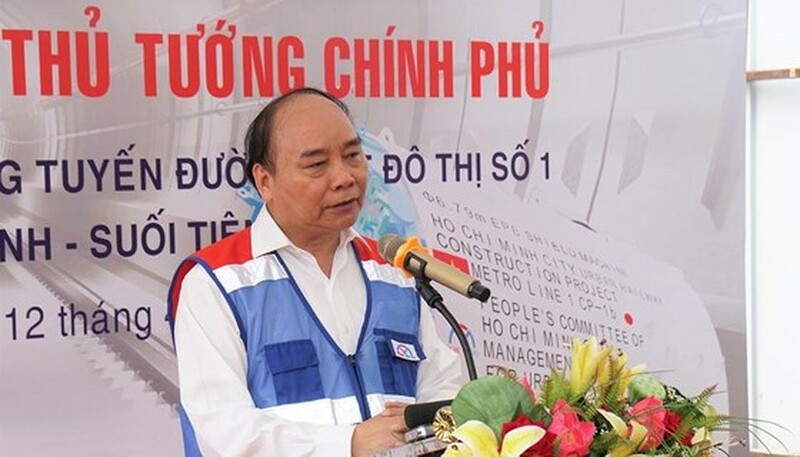 Mr. Phuc appreciated efforts by HCMC Party Committee, People’s Committee and city residents in building the important work, commended supervision consulting and construction forces and especially HCMC Urban Railway Management Board for implementing the project safely, sparingly and speeding up the project progress for the last past. 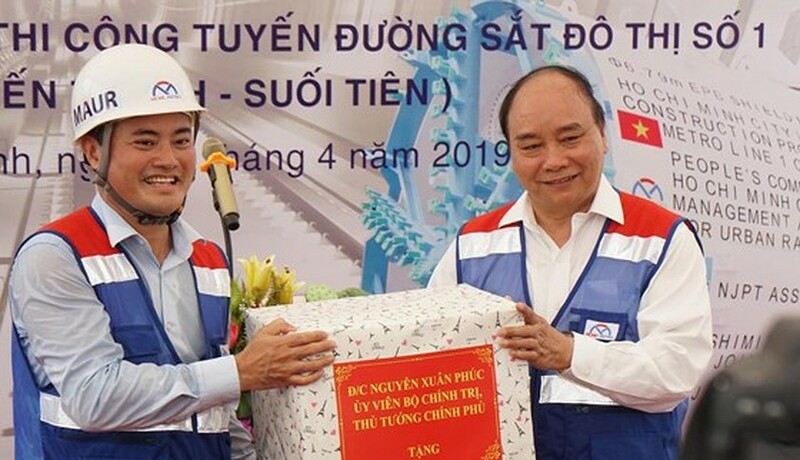 He thanked the Japanese Government, Japanese Embassy in Hanoi, Japanese Consulate General in HCMC and Japan International Cooperation Agency for assisting Vietnam to have resources to implement the project. 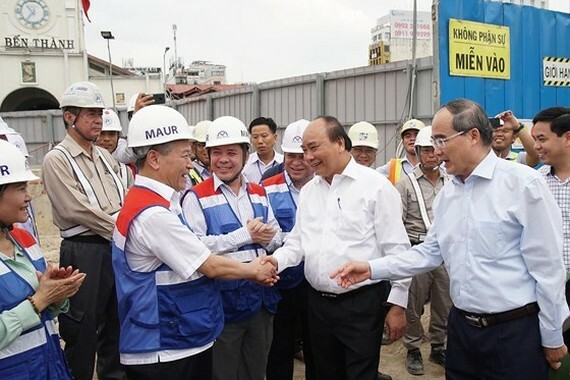 Reporting during the inspection, head of HCMC Urban Railway Management Board Bui Xuan Cuong said that the project has four bid packages comprising the underground stretch from Ben Thanh to Suoi Tien depot; the underground stretch from Saigon Opera House to Ba Son station; above the ground stretches and depots; purchase of mechanical and electrical equipment, locomotives, carriages and rail track and supply of maintenance service in the first five years after the project comes into operation. Attending the inspection was HCMC Party Chief Nguyen Thien Nhan, Minister of Transport Nguyen Van The, Minister of Planning and Investment Nguyen Chi Dung, chairman of HCMC People’s Committee Nguyen Thanh Phong and his deputy Tran Vinh Tuyen, chairwoman of HCMC People’s Council Nguyen Thi Le and representatives of city agencies. 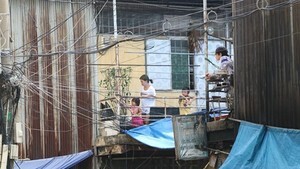 So far, 63.49 percent of the workload has been completed with nearly 2,000 workers and engineers working day and night on the construction site.